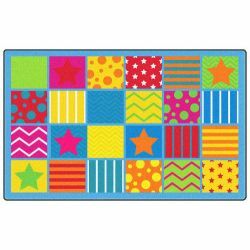 Silly Seating Classroom Rug is a playful organized student seating rug that uses bright happy colors and fun patterns to designate student sitting spaces. 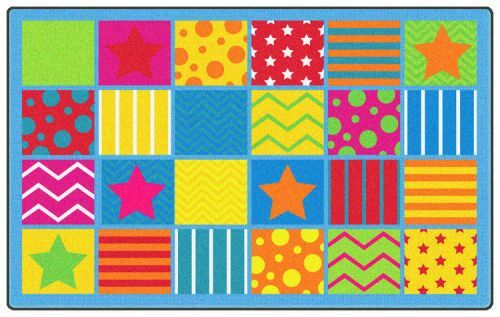 This classroom rug is great class organizer for group student activities and it stylishly coordinates with so many other classroom decor items. 10'9" x 13'2" (seats 30).